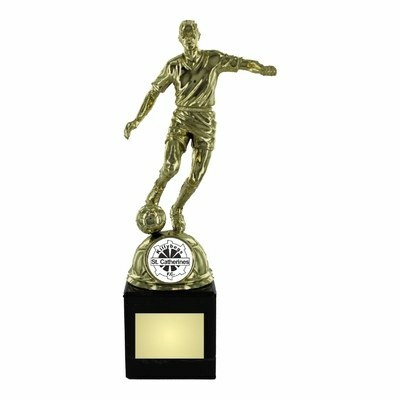 Gold Soccer Player Trophy on a black marble plinth. This resin trophy is ideal for any soccer/football awards ceremony. The plinth base is ideal for a personalised engraving plate. the centre stickers in the image above are for illustration purposes only.